(Leah Hogsten | The Salt Lake Tribune) Kelly Perry tries to comfort her sister-in-law, Laurie Holt, who fears for the life of her son Josh Holt, who has spent a year in a Venezuelan prison and is now severely injured after a fall. Holt, a former missionary with The Church of Jesus Christ of Latter-day Saints and a Riverton native, was arrested on June 30, 2016. He had traveled to Venezuela to marry Thamara Caleno, a fellow Mormon he'd met online last January while looking for someone to practice Spanish with. A public funeral is scheduled Saturday to remember the life of a Utah woman who spent nearly two years pushing to get her son freed from a Venezuelan jail. Anderson and Goff Mortuary owner Chad Anderson said Wednesday Laurie Holt's funeral is Saturday at 12 p.m. at a Mormon church in the Salt Lake City suburb of Riverton. A viewing is scheduled Friday night at the mortuary in Draper. 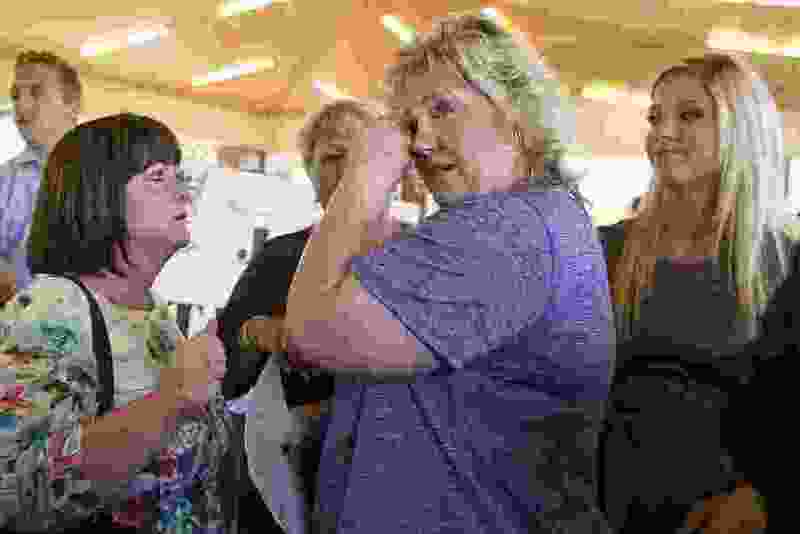 The 50-year-old Laurie Holt died unexpectedly Sunday at her Riverton home, less than one year after her son Josh Holt returned to the U.S. after being imprisoned for nearly two years on weapons charges that the Holts and U.S. politicians said were invented. Her husband says she died peacefully but the family has not said what caused her death. Laurie Holt was originally from Idaho.